Our beautiful church of St John’s is available for weddings and we will be pleased to do what we can to make this special day one of the very best in your life! We will read your banns the month before your wedding at the main morning service here at St John’s and if one of you lives in a different parish then they will need to be read in the parish church there too. 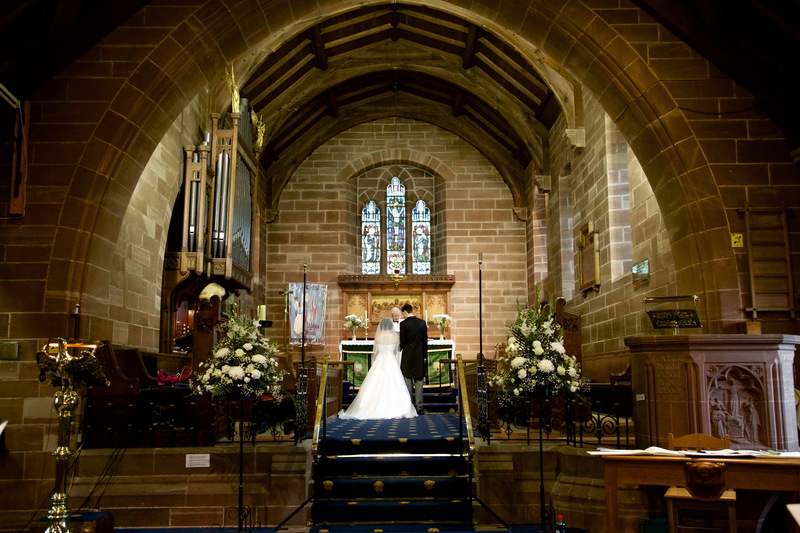 If you have any queries about your church wedding do please get in touch by ringing the Vicar on 01928 573798. Even if your enquiry is only tentative we will be very pleased to talk through the legalities of a wedding service and what we can offer here at St John’s. You might also like to look at the Church of England’s wedding service at https://www.churchofengland.org/prayer-worship/worship/texts/pastoral/marriage/marriage.aspx and for other background information look at yourchurchwedding.org. A wedding at St John’s costs £553. This covers the legal fees, hire of the building, heating, lighting and organist etc. When you decide you want to definitely book the church for your wedding we will ask you to fill a form in and pay a deposit. Hi Charlotte, please see the contacts page for the email address of the Vicar.